Of children born in Helsinki, only 49.5 per cent were baptised as members of the Evangelical church last year. The church has taken up new means to thwart the fall in membership. "In past years, the congregation has biannually sent letters to homes with an unbaptised child. We have organised communal baptismal events, which have been attended by a number of children for the purpose of becoming baptised", says vicar Pertti Simola, whose workplace in the Malmi congregation is Helsinki's largest, according to numbers of members. "The congregation has sent a booklet to the home of baptised children, which contains prayers, children's songs and crafts for Godparents. To three year-olds we send a book, for school-starters an invitation for a blessing for the educational journey, and for ten year olds an invitation to a communal birthday. Our aim is to create a long-term connection with families." Only 58 per cent of Helsinki residents belong to the Helsinki church, whereas elsewhere in Finland the figures reach an average of 75 per cent. On 3 August, Helsingin Sanomat reported that Finland is becoming divided by a 'Bible belt' similar to what is witnessed in the United States. In the area stretching from Ostrobothnia to Finland Proper approximately 86 to 94 per cent of residents are members of the Evangelical Lutheran Church. The church in Helsinki has begun a membership support campaign. The target is to find suitable ways for the residents of Helsinki to create relationships with the church. "We use a customer-oriented approach. We organise events at shopping centers. During the Christmas season, we handed out gingersnap cookies to those headed to work, accompanied by invitations to volunteer with us. Now throughout spring, we have started a big campaign related to upcoming congregational elections. We strive to initiate election fervour, as well as to heighten awareness of the church activities." According to Simola, in past years the attitudes of Helsinki residents towards the church have been researched copiously. He finds a stark difference there, as compared to other provinces. "For example, we find that Helsinki residents are much more attune and react much more strongly to questions concerning internal disputes on woman priests and in regards to relationships", Simola says. There are floods of people moving both into and out of Helsinki. This migration is also internal to the city, which Simola says helps explain in part the drop in membership numbers from Helsinki congregations. "When individuals have lived for extended periods of time in the same place, they gain a sense of belonging to their church, to which their forefathers have belonged. In Helsinki, such a sense of belonging is much more difficult to acquire", Simola says. For instance, the Paavali congregational area has lively levels of migration and a relatively young population. At the end of 2013, approximately 50.8 per cent of those residents belonged to the church. On the other hand, in the noticeably more stable residential area of Pakila, 74.8 per cent of residents belonged to the church. Helsinki is also home to more immigrants than anywhere else in Finland. The Evangelical Lutheran Church is a stranger to them. Simola guesses that the immigrant demographic influences the numbers of those belonging to the church by a maximum of 5-6 per cent. 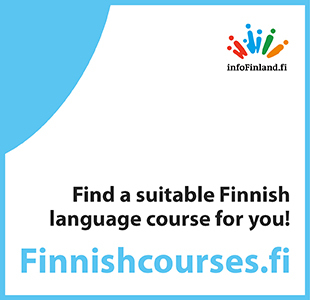 The Helsinki congregation offers immigrants English-language activities. There are also Estonian, Arabic, Russian and Chinese speaking pastors. The population demographics also reveal further factors which explain the decreasing membership numbers. "In late years, departure from the church has been a movement amongst 20 - 40 year old individuals, and this age group features highly in Helsinki. Also, in Helsinki we find many residents that live alone, which the congregation has a more difficult time accessing than those living with families, at least through the traditional means of outreach that have been used." According to Simola, the church has failed in "many areas". "Perhaps we in Helsinki have been too tenacious in sticking to traditional means of functioning. Such means originate in the culture of the countryside - for instance, the custom of having worship at ten, and by which people come by invitation into the church facilities. The sense of community, which has traditionally been the foundation of church activities, is not found in quite the same way here in the metropolitan area. People look for community, but of a more modern sort", is Simola's interpretation. According to Simola, areas in which the Helsinki congregation has succeeded are those of peer support networks, as well as activities directed towards children and families. "Confirmation school is nothing new, but we have succeeded in sticking with the times in regards to the ways of making it happen. Here in Malmi, over 90 per cent of our congregational members have attended confirmation school."